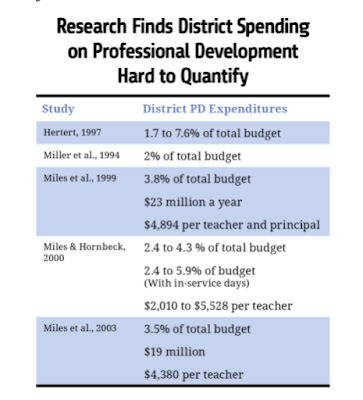 Each year districts throughout the nation spend millions of dollars on professional development, inservice training, curriculum materials and resources. And why do they do this? Research has determined that teachers need a minimum of 50 to 80 hours of professional development before they achieve mastery of a new skill (French, 1997; Banilower, 2002; Yoon et al., 2007). Furthermore teachers who do receive at least 50 hours of PD a year make a significant impact on their student achievement (NCSD, 2009). Shaping a teacher’s beliefs and pedagogical practices takes time, commitment and support. Yoon and colleagues (2007) examined 1,300 studies of professional development research to find which types of programs had the greatest impact on student achievement. 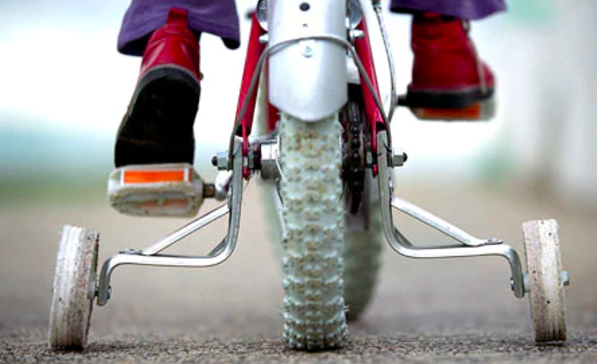 Programs that were lengthy and intensive had the greatest impact. 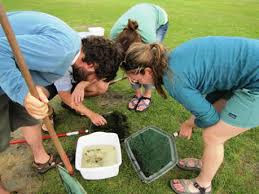 In fact several studies have found the duration of professional development is related to the depth of teacher change (Shields, Marsh, &amp; Adelman, 1998; Weiss, Montgomery Ridgway,&amp; Bond, 1998). As lengthy professional development require inservice time and cost, schools and districts should consider how technology can be used to support and sustain professional development as a means to offset cost and support ongoing professional development. Recent research suggests no significant differences found between online and face-to- face professional development (Fishman et al., 2013). 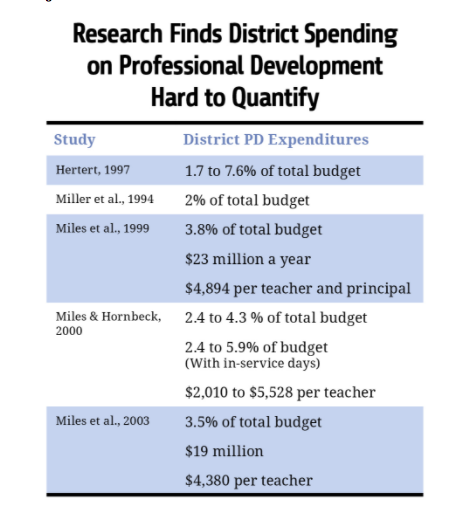 This finding holds much hope for schools to increase teachers confidence and efficacy towards teaching without adding an additional burden and cost for the school district. What is needed in the research is effective models that can be used to facilitate online professional development without the added cost and burden of sophisticated technology tools and learning management systems to support online training. 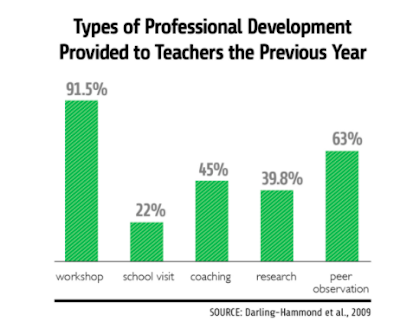 Traditional professional development such as one-day workshops, inservice meetings, fails to produce substantive or sustained change in teachers’ practice (Cohen and Hill, 2001; Parsad et al., 2001; Porter et al., 2000). What is needed is alternative models of professional development which builds on teachers capacity as leaders to provide inservice teacher professional development that is contextualized and customized. With the asynchronous capacity of social media, participants can engage in professional development at any time and anyplace. Instructors of professional development can identify and address misconceptions as well as answer questions related to teaching strategies when teachers have an opportunity to develop expertise. Social media such as Facebook and Twitter are popular tools that offer anytime, anyplace and free professional development that is personalized and individualized toward the learners' needs. Moreover these platforms offer multiple representations of content from fellow teachers who share videos, lesson plans, graphic organizers, student work samples and most importantly first hand experience of how the work they are doing impacts the students they teach. Want to learn more about how one professional development organization is shaping teachers' practice by developing teacher leaders who share their work and refine their practice with other teachers, check out this recent publication . "The Role of Teacher Leadership for Promoting Professional Development Practices". (Dickenson, & Montgomery, 2017). Please leave a comment and share how you use social media and online learning to sustain continuous professional development.